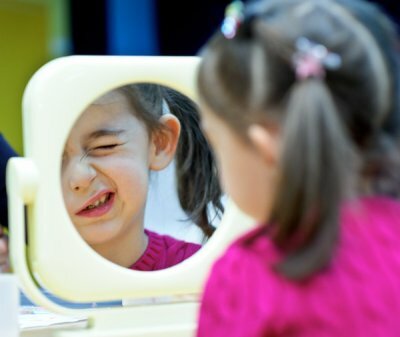 Let’s examine one of the most popular myths about mirrors, namely — why You don’t need to look in the mirror when You cry. In different parts of the world, the mirrors were treated differently. The Japanese are convinced that the Sun rises every morning only because of mirror. And in Europe, the mirror was the coveted object of all aristocrats who often sold whole estates to buy one Venetian mirror 70 * 100 cm. There is no doubt that this is why we have a huge number of myths and superstitions about them. Why You don’t need to look in the mirror when You cry. 1. People’s belief says that crying at a mirror leads to losing your happiness, drowning it in tears. And really, is it not a happiness to have a mirror? In Europe, XIV — XVII centuries, if they cried in front of a mirror, then only remembering how much they paid for it. 2. The mirror reflects not only the image (rays of light), but also the energy flows. When You sob, looking in the mirror, it’s easy to see how sorry You look at it. All the negative energies that come out with crying, immediately come back. ⊕ In Russia, the girls had a wonderful tradition — to sob at the window. Why not do so, especially since crying brings relief. ⊕ After the XVII century, when we began to be treated better by mirrors, our girls flaunted and preened themselves at the mirror. 3. It is also believed that the mirror is able to absorb energy, and not just reflect it. If all the time roaring in the mirror, it will constantly rebroadcast the negative mood. For this reason, many are afraid to buy their b-at, especially antiques. ⊕ But if You look at the problem differently, a girl, crying and admiring herself in the mirror, will surely get pleasure from it. she’s in love with her grief, and grief and unhappiness are her life of her own choice. It is difficult for her to cling to positive emotions. But You need to do just that! 4. Mirror — the gate to the other world, according to another believe. It was considered not just a reflector, but a bridge between our world, and the world of the dead. Showing them how badly You’re living in the world, they can send anything — unhappiness, celibacy or a sexually transmitted disease. • Wipe the mirror with a cloth soaked with a month’s infusion of Leucard, in which three leeches swam for a week. However, Mr. Muscle will do as well. Wipe the mirror well, allow it to dry, and it is ready to please You with Your own beauty. • Start smiling at Yourself in the mirror, making faces, yelling. Split in front of him, if the size of the glass will evaluate the dance. Thus, You’ll not only exchange the positive with the looking glass, but in time rehearse funny or inviting movements, which then attract the guys in the club. • Reposition the mirror. Even if suddenly there is an unforeseen, and the wreck will sweep Let the mirror being retired to another place. Put it where You usually experience positive emotions — for example, in a nursery, in a shower or toilet. • Don’t cry any more in front of the mirror. It is much more effective to cry before Your boyfriend. Crying for parents also gives excellent results. But don’t abuse such manipulations. 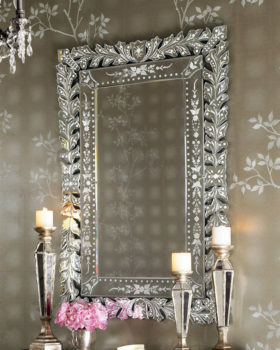 Be happy, and let the mirrors reflect only Your dazzling radiance! Read also other articles about the signs. We try to find the root of their origin, and suggest contrivances to circumvent the negative feelings of violation of the signs.